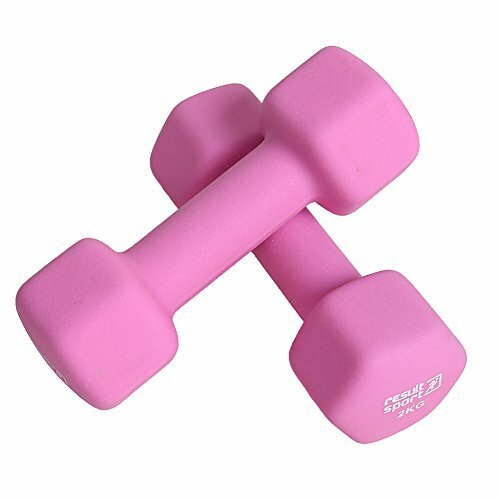 FITNESS WEIGHTS FOR YOUR WORKOUT - Strengthen your entire body by using hand dumbbells in your workout routine. Bicep curls, bench presses, and shoulder raises are just a few of the exercises you can use these weights for to build and tone your muscles. 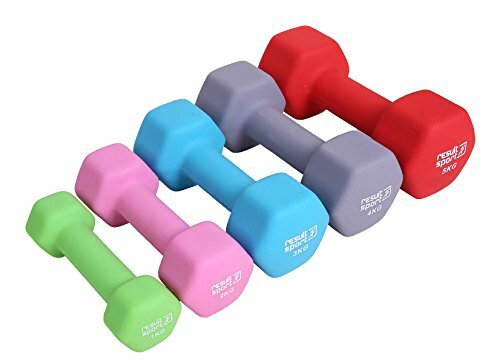 ANTI-ROLL SHAPED DUMBBELLS FOR FLAT SURFACES - Flat shaped weights keep the weights from rolling away between your exercises and are easy to store. Easy to clean surface helps keep your weights smelling fresh and free from scratches. IRON WEIGHTS WITH NEOPRENE COATING - Neoprene coated iron cast weights made out of premium solid materials for long term use and durability. Non-slip grip provides excellent grip even when hands get sweaty. 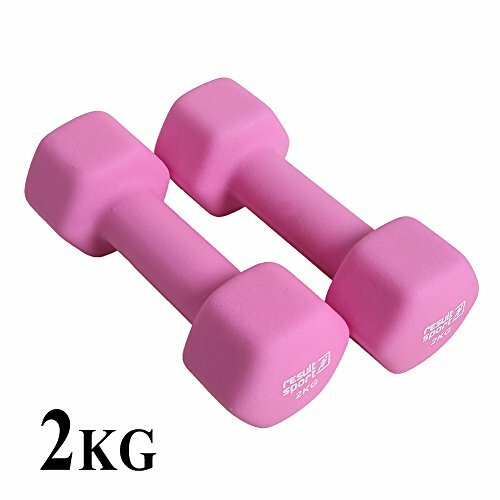 HAND DUMBBELLS PERFECT FOR EXERCISE - Burn fat, tone your body, and increase your strength and flexibility with a pair of hand dumbbells. A great addition your fitness routine or running session. PAIR OF HAND WEIGHTS IN DIFFERENT SIZES - Choose your preferred weight for your exercises at the gym, at home, in the outdoors or at the office. 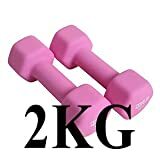 From 1KG to 5KG weight options, match each pair of weights to your reps to increase strength and endurance. ResultSport Neoprene Dumbbell Weights a comfortable to grip. The perfect way to add a strength training element to your aerobic workout. Suitable many types of exercise for example aerobics or jogging.